Powered by Skillsoft Percipio and customized for the UW, this online platform delivers an immersive learning experience with highly engaging content curated into dozens of channels. Engage in self-development at your own pace; choose to watch, read, or listen to suit your learning style and needs; customize the interface by selecting areas of interest and creating a list of favorites; and download the free Percipio mobile app for learning on the go. 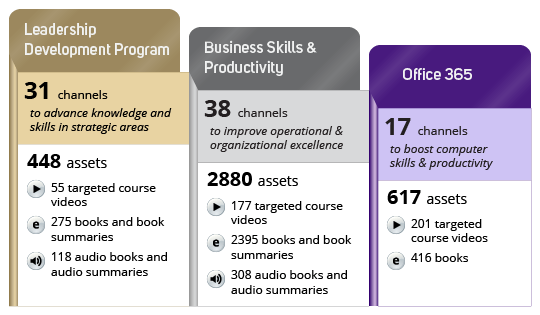 See an overview of all available content or a full inventory of Office courses. Subscriptions run through 12/30/2019 and include unlimited access to The Learning Lab and all assets. You don’t have to go it alone! Before you subscribe, consider The Learning Lab Interactive, which pairs your subscription with a Development Partner who will provide one-on-one coaching, help you set learning goals, and keep you accountable throughout the year.